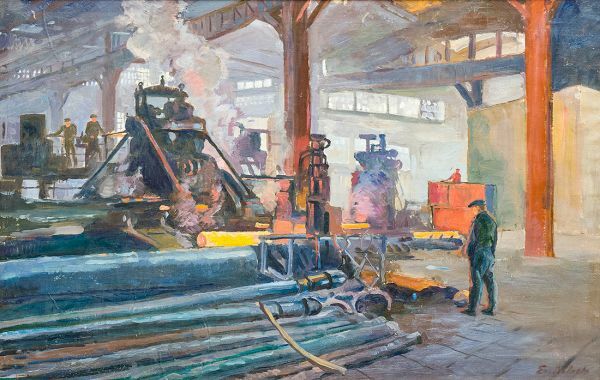 Buy works – Lvov Evgeni Aleksandrovich | (1892, Nizhniy Novgorod – 1983, Moscow). Lvov Evgeni Aleksandrovich (1892, Nizhniy Novgorod – 1983, Moscow). 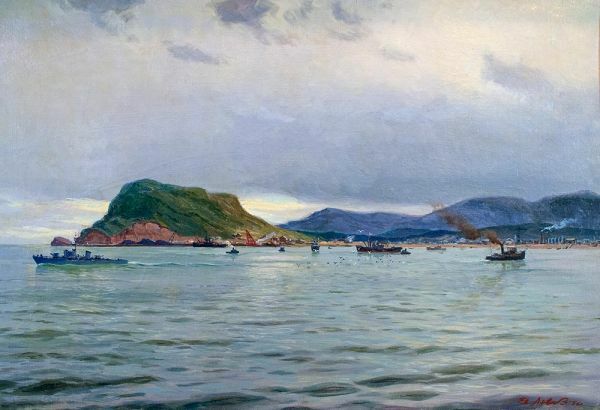 Painter, marine painter, author of historical paintings devoted to the Russian fleet, seascapes. Member of the Union of Artists of the USSR. He studied at MUZHVZ (1914-1917 gg.). Member of AHRR since 1922/24 Took part in exhibitions AHRR in 1922-29. Until 1918 he lived in Moscow. In 1918-19. In Nizhniy Novgorod. He took part in exhibitions held in Moscow in 1932, 1933, 1947, 1949, 1950, 1951. One of the leaders and ideologists of the Association of Artists of the Revolution (AHRR - AHR). During the Great Patriotic War, he participated in the preparation and publication of campaign posters "TASS Windows". The works of E. A. Lvov are in the State Tretyakov Gallery, in many other museums and private collections. 95000 - 95000 rub. 95000 - 95000 rub.